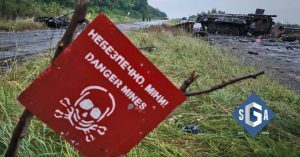 Ukraine (MNN) — Tensions between Russia and Ukraine just got gravely serious with rumblings of war on the horizon. On Sunday, Russian warships fired on and seized three Ukrainian naval vessels. The conflict took place on the Kerch Strait, a narrow waterway that serves as the only access to the Sea of Azov. Russian forces say the Ukrainian ships came into their national waters and shouldn’t have even been there. 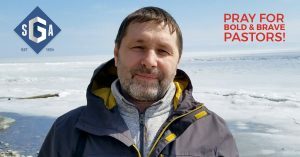 Ukraine says they told Russia they were coming through the strait and did nothing to provoke an attack. A bridge over the strait connects Russia with the Crimean Peninsula, which the Soviet nation annexed in 2014. Ukraine and most other countries do not recognize Crimea as a Russian territory. Ukraine’s president and parliament met yesterday to discuss instating martial law — a move typically reserved for war or an invasion. Martial law would allow the military to take over the activities of a civilian government and even delay Ukraine’s upcoming elections. Griffith says tensions between the two nations can also indirectly affect SGA’s ministry in Ukraine. With winter here as well, the frigid temperatures and restricted travel conditions only make humanitarian needs starker in Ukrainian neighborhoods affected by Russian-backed separatist clashes. However, that doesn’t hinder SGA or their ministry partners’ persistence in getting the hope of the Gospel to Ukrainians — which is needed now more than ever. “The churches we serve with SGA, we’re really trying to simply dedicate ourselves to helping people whose lives have been shattered…with the Gospel and certainly humanitarian aid. The churches, of course, are wanting to minister to their people as best as they can,” says Griffith. SGA has a Crisis Evangelism Fund which is designated to “meet the special needs of people living in regions or countries ravaged by war, extreme violence, and acts of terror.” It’s a tangible way you can encourage Christians in Ukraine and inject the hope of the Gospel into this situation. Click here to give to SGA’s Crisis Evangelism Fund! Then, most importantly, you can pray. The tensions between Ukraine and Russia, although ongoing, have seemed to fade into the background with less media coverage dedicated to the conflict. Ask God to give government leaders in Russia and Ukraine wisdom. 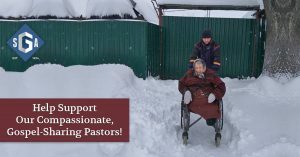 Pray for pastors sponsored by SGA to be spiritually encouraged and given the resources they need for ministry in Eastern Ukraine.